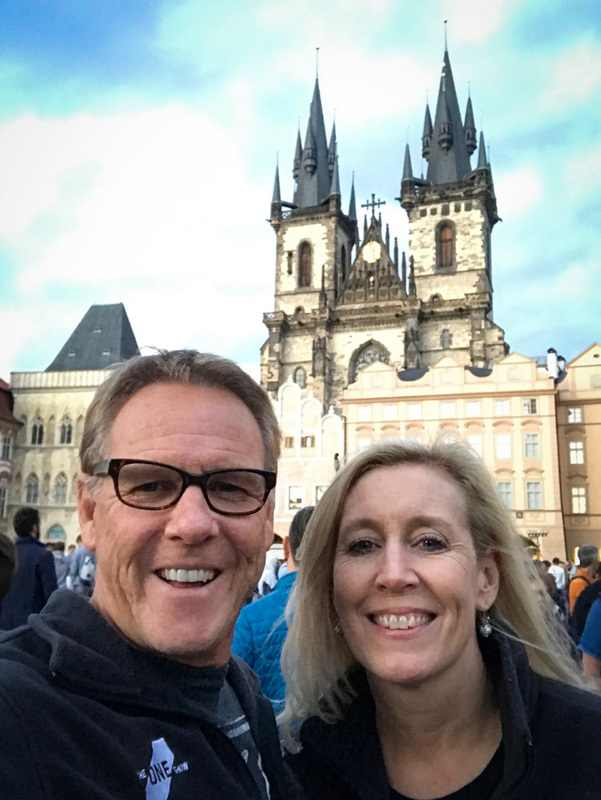 Kevin and I arrived in Prague today, jet lagged and exhausted but excited to explore a city we had never been to before. We found ourselves amidst a throng of bustling tourists all in awe of the Staré Mésto (Old Town) Square. The weather was cool as we set out to take a couple of pictures before the light faded. 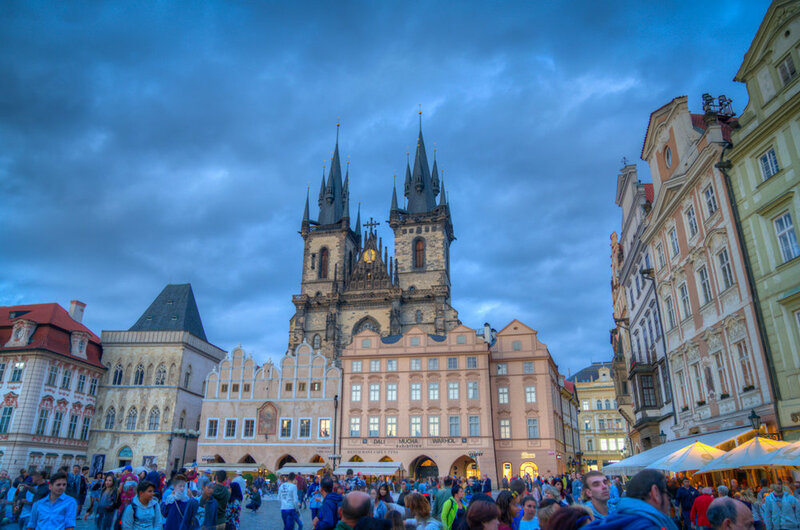 The church of Our Lady of Tyn is a prominent landmark that guides you back to the city square. The Astronomical Clock continues to bring crowds of people even though it is being repaired this year. You need to be out early to get a good view of this mechanical marvel. More than 600 years old this amazing clock displays many statues as well as having the twelve apostles parade pas the windows. We were fortunate to see two during the restoration this week. We skirted the perimeter of the square taking in all the colors of the town buildings. 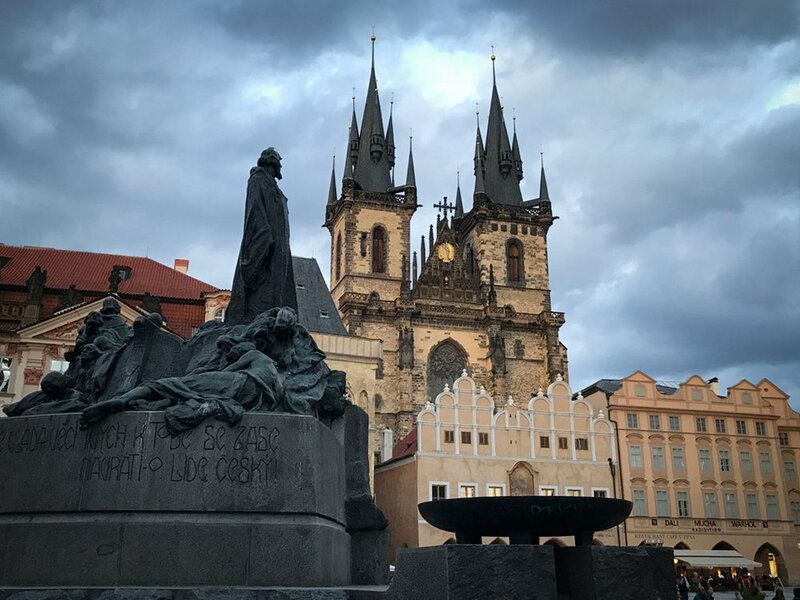 Praque Old Town Square overwhelms the senses with the smells of pork knuckles being cooked on spits and the sweet smell of "Bohemian Chimney" pastry, Trdelník, a delicacy laden with ice-cream and Nutella. We continued walking trying to avoid being splattered on by huge bubbles which were being blown for excited kids. I scoped out a church for Sunday morning mass, St Nicholas, and also learned about the choral evenings which were held in many of the churches from Vivaldi to Bach. 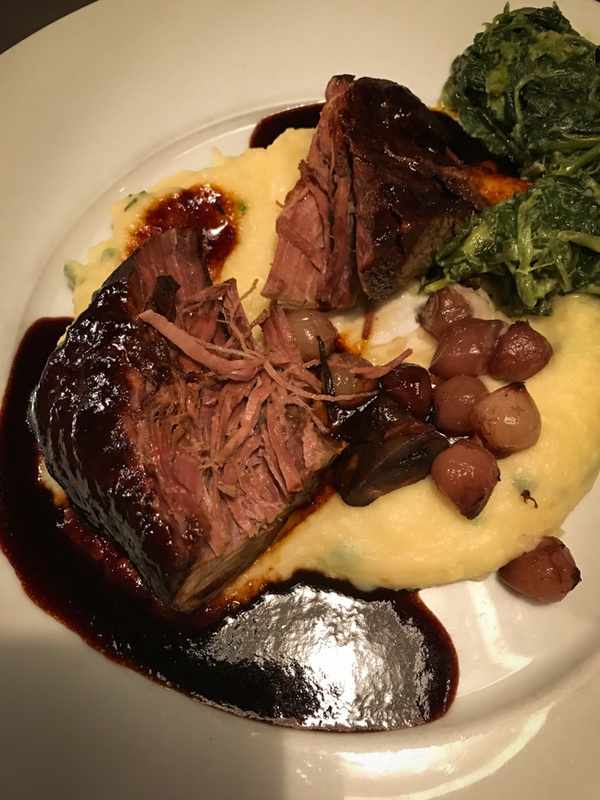 We found a great restaurant to have dinner and ended up in a beautiful 12 century vaulted basement and had our first experience of Czech cuisine. On the way back to our apartment we came across the Black Angel Bar which is rated the 4th best hotel bar in the world due to its history and mysterious background. Once a monastery, then a library and finally an attractive Gothic styled bar designed in the style of a prohibition era speakeasy. 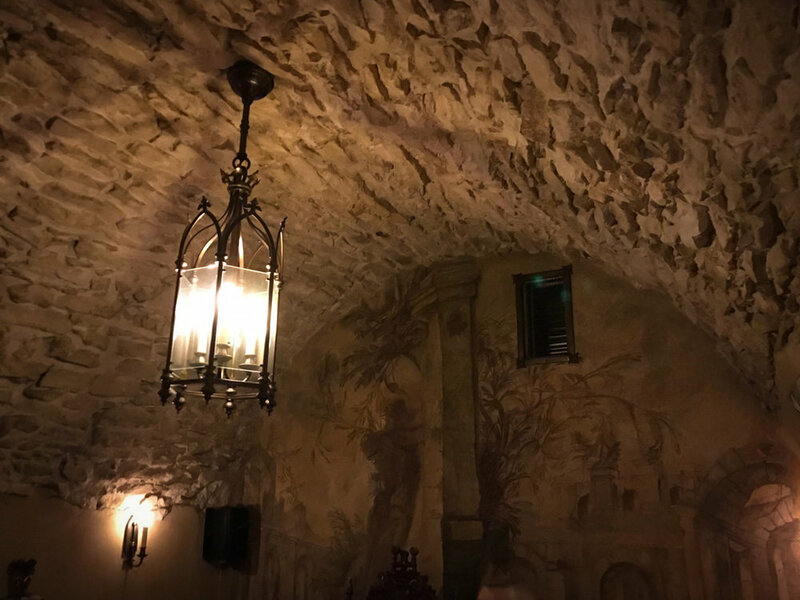 This beautiful space has tons of atmosphere within the stone vaulted ceilings with a Black Angel perched atop the bar. No photographs really allowed but we sneaked one or two.